Congratulations to all of the boys from 4th, 5th and 6th classes, who entered a project for the Intel Young Scientist Competition. The idea of the competition was to encourage our students to work scientifically and to learn by investigating and working together as a team. Niamh, the judge from Intel was very impressed with the amount of boys who took part, and she was equally impressed by their knowledge, listening skills, presentations and projects. The winning groups each received a red goody bag and all the pupils who entered the project received a blue goody bag. Thank you Intel! 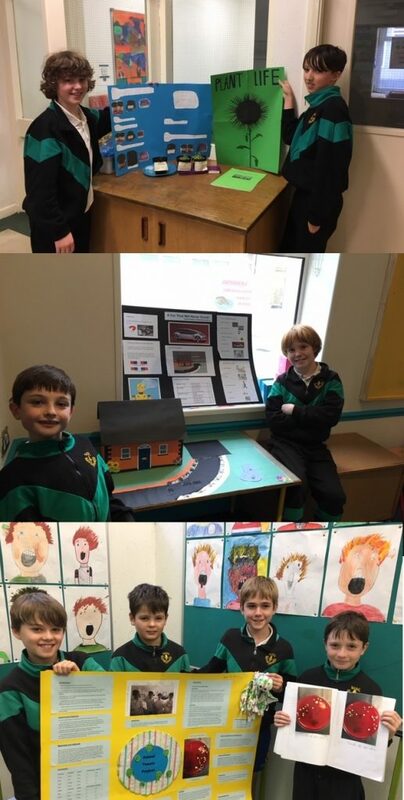 The winning project for 5th class was called ’ School Towels’ by Conor, Callum, John and George. The 2 overall school winning projects selected to go forward to the regional finals are the ‘ Can Magnets Power Cars?’ and ‘School Towels’ projects.